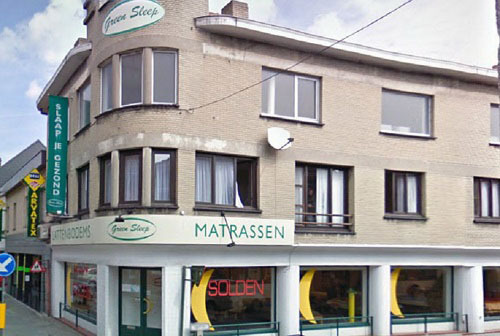 Green Sleep for over 30 years has dedicated to providing the healthiest night’s sleep possible. 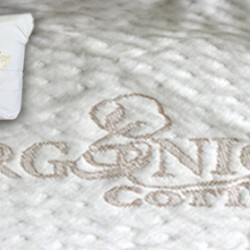 Their mattresses and sleep system are made from the highest quality natural and organic raw materials available. Green sleep is sensory. A revitalizing sleep experience unlike any other. A healthy dose of common sense that puts the restorative power of a good night’s sleep within easy reach. Based on more than 30 years of scientific research, Green Sleep is also a concept born of necessity; the better we sleep, the better we feel. That’s because undisturbed sleep refreshes, restores and rejuvenates. Experience the genius of Green Sleep, the regeneration of your body and mind while you sleep, rest assured knowing you have achieved ergonomic support, feel confident that our sleep systems are made of the finest natural and organic materials found anywhere in the world today. 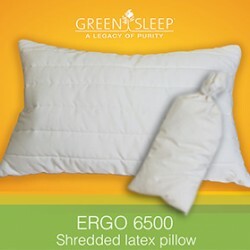 The Green in Green Sleep simply stands for Genius, Regeneration, Ergonomic, Eco-Friendly, and Nature. The GENIUS of Green Sleep lies in its simplicity. Ideal sleep is disturbed as little as possible by external or internal stimuli. -Deep restorative sleep and REM sleep cycles heal your body and mind while at rest, deep sleep and REM cycles should last as long as possible. One of the best ways to regain balance and optimal health in life is to use Green Sleep’s ergonomic sleep systems to get the proper amount of body rest & relaxation during sleep. Green Sleep promotes REGENERATION through deeper, restorative sleep, helping to rejuvenate the body and mind. The result is a reduction in the negative effects brought on by a lack of quality rest, which can include morning crankiness, fatigue, and stiffness, as well as aching joints and muscles. Experience ERGONOMIC sleep with Green Sleep’s innovative design. Ideally, when you sleep on a mattress, you should sink into it sufficiently that your body makes maximal contact, thus reducing pressure to the spine. This support is crucial to a good night’s sleep because, with your spine supported correctly. Whether you sleep back, front, or on your side – your muscles are no longer needed to provide that support and can truly relax. Green Sleep is ECO-FRIENDLY with a deep-rooted respect for the environment and sustainable development. All of the rubber and wood used in Green Sleep products are harvested from sustainable forests, while organic cotton and pure Texel wool are harvested using processes that promotes a healthy balance between economic growth and environmental sustainability.Local jobs are created without depleting the natural resources of each country. Comfort is in our NATURE and it’s all around us. Green Sleep’s natural rubber, pure wool and organic cotton are some of the highest quality natural and organic raw materials available today. In fact, all Green Sleep frames, batting, fillings, and fabrics are made of the cleanest and purest products available on the market today. The perfect blend of materials for creating a pure, non-toxic environment for calm, relaxing sleep. Although European in origin and design Green Sleep for North America is manufactured in Nicolet, Quebec. Green Sleep has partnered with a Canadian owned mattress manufacturer who has been making quality high end mattresses in Canada for several generations. There three distinct product lines feature in the Green Sleep Collection. There are three models in the Dreamer series. This value priced product line features all the quality materials and craftsmanship you have come to expect with a Green Sleep Mattress at a more affordable price. Although each model is not customizable at the time of purchase additional layers can be purchased to adapt the comfort over the lifetime for the mattress. Green Sleep has developed a very unique hybrid pocket coil mattress called the Niu, that features natural rubber plates on top of individual pocket coil bases that can be flipped to firm or soft at any time during the lifetime of the mattress due to the easy dual envelope cover featured with every Green Sleep mattress or sleep system. 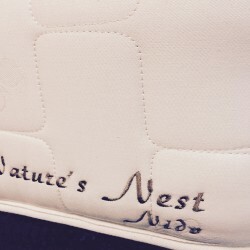 There are two more models currently in development for the Nature’s Nest line and we look forward to introducing them in the near future. The Ergo Hevea series is a collection of mattresses that can be customized for individual comfort, correct alignment, and ideal pressure relief. Every customized mattress is partnered with a functional pressure absorbing ergonomic suspension base. Comfort can be adjusted at any time during the lifetime of your mattress. During the first 90 days we offer a one-time comfort adjustment at no additional charge. Please see Soma Comfort Adjustment Policy. Soma features the entire collection of Green Sleep mattresses and accessories which are available for purchase in-store or buy securely on-line.